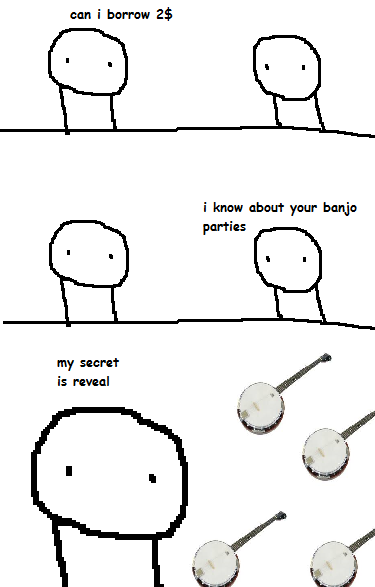 There is not a party similar to a banjo party. Wonderful symbolism in the last panel. As the man's lie of a life begins to crumble down around him, he is forced to face the ghosts of his wanton banjopartying past. Like blackflies, the stringèd instruments swarm towards him; numerous, unceasing, inevitable. He chooses not to run. He faces his fate. He cannot be harmed, for he is already a broken man.